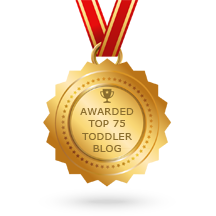 Night Wakings & Falling Back to Sleep - Joyful Toddlers! My 2.5yo daughter has never been a great sleeper, but lately she’s started waking up multiple times per night. We’ve been day-weaned for awhile, but she still wants her “mommy pacifier” at night and I usually give in, cause I’m so tired. But I’m feeling resentful and something needs to change. We’re both exhausted! Big hugs to you! It’s so hard to be the parent we want to be during the day, when our nights are interrupted. Sleep is so important, both for us and for our kids! 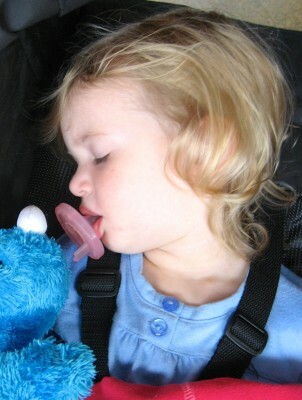 It’s hard to overstate the importance of sleep to the child’s developing brain. The good news is that falling asleep is a skill, and can be learned. Children benefit from our love and support during this learning process, just like they do in learning other skills involving self-control such as learning to wait, to be polite, etc. Of course I’m not at your house and I can’t see what’s actually going on, but I wonder if your daughter might not be rousing herself fully during natural arousal points at night, in order to get these special nursing cuddles from you. Does that seem like it might be the case? I’ve definitely seen children keep themselves awake in order to get special one-on-one time that they get at bedtime, and if night-wakings are the only time your daughter can continue nursing, she may be doing it as much as possible. The obvious “answer” to this issue would be to stop nursing at night, but I would say that it’s not quite that simple. One thing your daughter is telling you is that these special times of connection are important to her. So how can you incorporate special times of connection into your days, so they don’t have to interrupt her nights? And equally important, how can you connect with her in ways that feel good to both of you, instead of making you feel resentful? I know one mom who replaced nursing with “chair time,” where she and her child cuddled up on a big armchair and put a throw-blanket over their heads so they were close and intimate. She would then spend a few minutes giving her little one extra-juicy hugs and kisses, telling him how much she loved him and how glad she was that he was her son. She would do this three or four times throughout the day, and this gave her son the connection he craved, along with a way for him to calm down if he was upset, or re-set if he was over stimulated. What might your daughter enjoy? Next will be to implement the plan. You want to let her know that you love her and are connected to her even if you’re not there. You might do this by taking a scarf or a shirt of yours, and tying it to her bedpost. Let her know that this is a special scarf. “If you wake up in the night, just reach out and touch my scarf, and wherever I am in dreamland, I’ll think of you. If you’re holding my scarf, you can close your eyes and fall right back to sleep, and then you and I will be together in dreamland. When you wake up you can tell me if you found me in dreamland, and I’ll tell you.” Tell her about it many times throughout the day and evening, and make it a special story where you snuggle and are connected while you tell her. In the beginning, she’s likely to wake up and come/call to you, and there’s likely to be a period of mourning for these special night-nursings. Be compassionate, but hold firm. Intermittent reinforcement (by giving in sometimes) makes it VERY hard for people to move on. Instead, go in to her and tell her the whole story again, help her hold onto the scarf and close her eyes. When she’s settled a bit, tell her that you’re going back to bed so you can find her in dreamland. If this feels like too much for her at the beginning, you might stay with her till she’s on the verge of sleep, then give her a soft kiss on the head and whisper, “I’m going to let you finish falling asleep on your own. See you in dreamland,” and tiptoe out. I’ve found that skipping this step often makes children think that perhaps I don’t realize they’re not asleep yet, so they rouse themselves. When I acknowledge it, they can stay relaxed and drift off on their own. Gradually I can do this earlier and earlier, as they learn the process of relaxing their bodies to go to sleep. Eventually she’ll truly be able to do it on her own, when she wakes during the night. The biggest thing to help this work is to be sure of yourself, and to hold firm. You are supporting her in learning a very important skill, one that will serve her for life. Children can feel it when we’re ambivalent, and it causes anxiety for them. If we can hold firm, while still being compassionate, then our children can relax into the new reality. One final thought: if your daughter has a hard time falling asleep at bedtime too, I wonder if she might not need more sleep than she’s getting. When people are chronically sleep deprived, their bodies flood with hormones to keep them awake when their tired, and these hormones make it hard to fall asleep and stay asleep when they finally get the chance. Try putting her to bed 15 minutes earlier, and after 3 days another 15 minutes earlier. Keep this up as long as she keeps waking in the morning at the same time. She may need an extra hour of sleep each night, or even more! These are wonderful suggestions and I’m going to borrow some of your language and ideas with my boys when they are falling asleep at bedtime. Thanks, Miss Faith! Thanks for taking the time to tell us, and good luck! Let us know how it goes! Thank you for the beautiful suggestions Faith. I love the idea of tying a scarf to my daughter’s bed to use as a transitional/connection object. I’ve also been working on a “dreamland” story to tell her inspired by the book Gossamer by Lois Lowry. In the book, a fairy creature comes into the child’s room at night to whisper happy memories. These bits and pieces become the child’s dream. I have been telling my daughter about things that have happened in her life and things we have shared that can enter our dreams. All of my children have been different kinds of sleepers. The last has not been the easiest or most difficult. By setting boundaries and continuing to work toward helping her get to sleep and sleep through the night will come! It will be worth all of the effort, I know. Thank you for your help and support Faith! What a wonderful image to share with your little girl!